Why Use Keable Webb Lettings? We are Arla registered assuring both Landlords and Tenants of a professional service. Arla membership is very sought after in the lettings industry. • We offer a range of management services to Landlords that can be tailored to individuals needs. 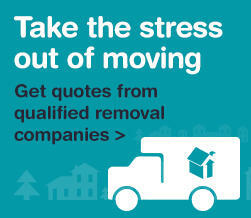 • We offer advice regarding the letting process and landlords responsibilities. • Full referencing of tenants. • Preperation and completion of appropriate documentation. Keable Homes Ltd (Formerly Keable Webb Lettings) are an independent estate agents in Cannock providing you with all that is needed to sell your property. A family run business since 2003 that mixes a fine blend of professionalism with approachability. We take pride in our reputation and provide excellent customer service. Our property sales team are always on hand with help and advice to make the process as stress free as possible, with extensive knowledge of Cannock and the surrounding areas.